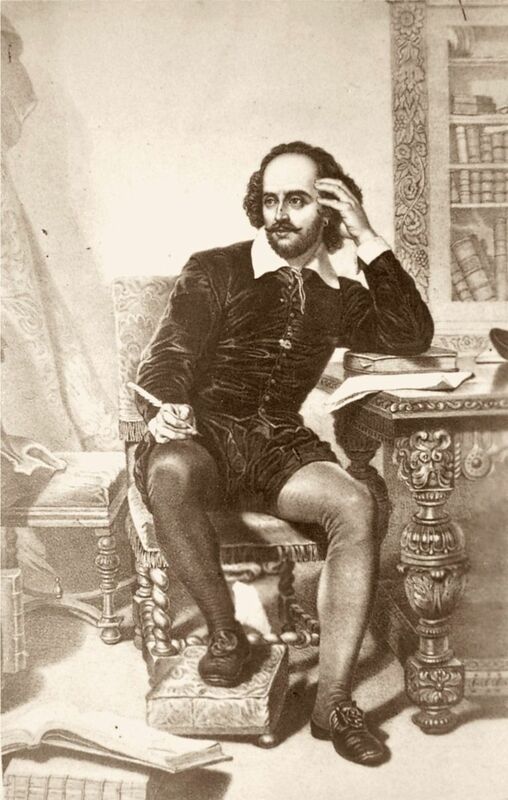 William Shakespeare had a knack for highlighting the complex nature of relationships, from family fights to the longing for love and acceptance. Friendship is a part of nearly every relationship we have and his plays give us the inspiration to dump the bad friends, celebrate the good ones, and improve the way we act. While this quote talks about love, I relate it to the judgment we sometimes make in meeting new people. There are times when we write off a potential friend before we have even given them half a chance to see if they might be someone with have things in common with. A friendship is always better when two people come together naturally through a shared interest in life, humor, and sense of fun. Have you ever been shy about approaching someone you think might become a friend? This quote speaks to the quality of fear, especially when it comes to putting yourself out there and trying to forge new relationships. While you can't always be guaranteed that you'll become close to every person you meet, you will definitely miss out on the opportunity to have a great friend if you don't at least try. One sure way to feel comfortable meeting new people is to get really good at small talk so you can navigate a conversation with someone new more easily. Just as there are different types of romantic relationships and marriages, there are also different friendships. This quote reminds us that what works for one set of friends may not work for another. The way to really know whether someone is good for you is to pay attention to how you feel. If you and your friend are happy with your friendship, that's all that is important. "How poor are they that have not patience! What wound did ever heal but by degrees?" Being patient with our friends can be a challenge, especially when we have a falling out and need to really listen to their concerns. But if you can take a step back and trust in the strength of your friendship, you'll be able to work through disagreements more quickly. "What a fool honesty is." In this case, the word honesty is referring to being blunt and telling someone what you think is the truth, regardless of the outcome. But in friendship, gentle honesty is a much better way to go. Rather than just throwing out your thoughts, you weigh them a bit to see how they might affect your friend. While you should always be straight with your pals, you definitely should not be hurtful. "Don't waste your love on somebody, who doesn't value it." This is the key to any relationship, especially one involving two friends. If your friendship is unbalanced, you need to decide if the person you call friend really values you as much as they should. Each friendship you have will probably be slightly different from the next one. Some people will be your mentors, others your ​BFFs, and still others might remain acquaintances. Each friendship progresses at its own pace, but if you pay attention to this quote and "love all, trust a few," you'll be on your way to making smart friendship choices. "Let me be that I am and seek not to alter me." This is the ultimate quote about friendship! Having someone accept us just as we are is the ultimate definition of friendship. The more you feel like "yourself" around someone, the more likely that person is truly a good friend.